The original War Machine in Iron Man 2 was one of the most iconic Iron Man suits of all time! Its heavily weaponized configuration and powerful militaristic design are beloved by many fans worldwide. 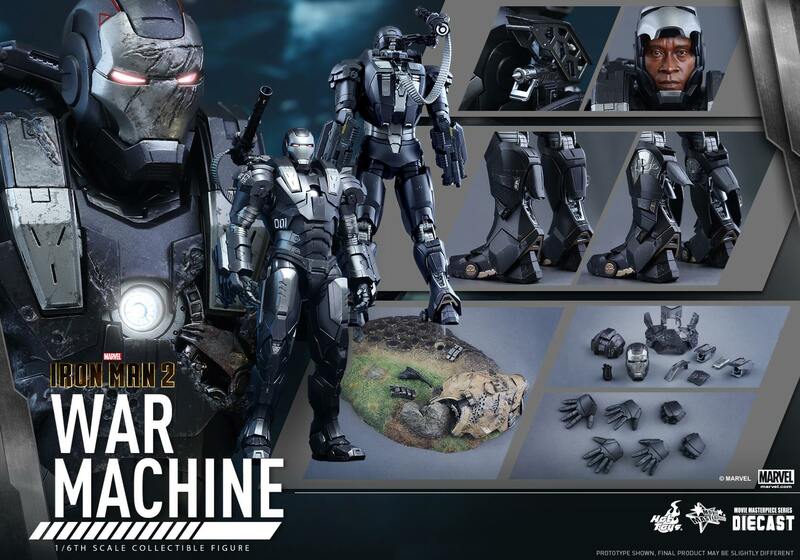 Today, Hot Toys is very excited to revisit this fan-favorite suit and present the all new War Machine 1/6th scale collectible figure for our MMS Diecast Series! The movie-accurate collectible figure is made of diecast material, and crafted with amazing details that astonish fans with its high level of authenticity!